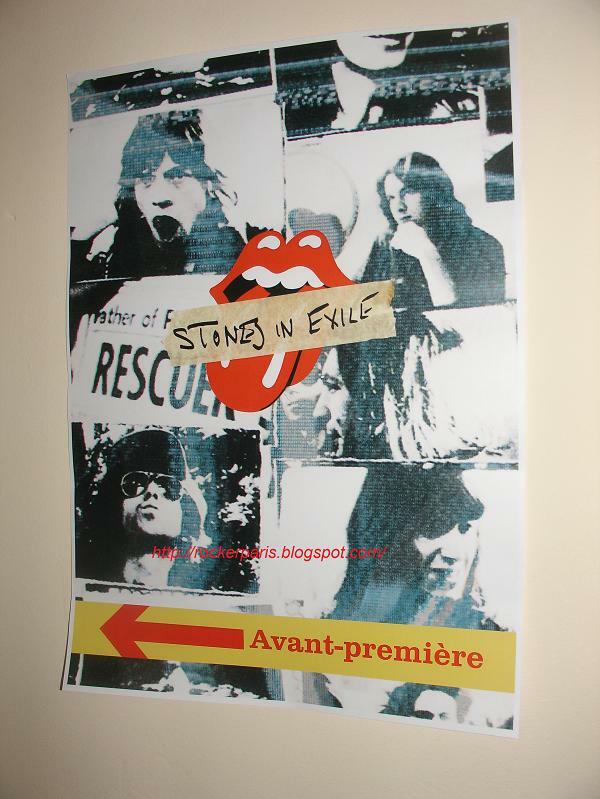 Rolling Stones' documentary " Stones in Exile" was shown this morning for the press in a cinema in the St Germain des Pres area (in the latin quarter). 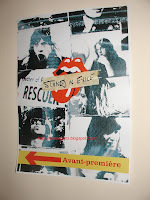 It's about the recording of the Rolling Stones' "Exile on main street" which has just been out remastered ( for the 3rd time) with bonuses(that's a first). Really nice hour Doc with lots of Pictures from Dominique Tarlé who was there when the album was recorded at the time and this morning to introduce the doc. Always funny to see some knows faces in the audience who had a hard time getting up in the morning. The distributor Eagle Vision had prepare us a nice breakfast. French tv France5 will play it on June 10th @ 8:35PM. In a few months they will release " Ladies & Gentlemen" from the Rolling Stones on DVD and Blue-ray.